Confused about which vitamins to take? You're not alone. With more choices, research and money at stake, we live in a time with a lot of controversy about the necessity of supplements. Even prominent researchers have contradictory viewpoints. At the February 2011 American Society for Nutrition Advanced and Nutrition Controversies Conference, researchers were at odds over what's really essential. Since nutrition is a young science and research is constantly evolving, there's more to come. But, here's what you need to know right now about which supplements are critical. Vitamin D is also known as the "sunshine vitamin," and its deficiency can lead to rickets or soft bones in children. In adults, the risk of deficiency is softening of the bone (osteomalacia) or bone loss (osteoporosis). Vitamin D helps the body absorb calcium and promotes bone mineralization. Many health care professionals also see it as a protection against many forms of disease. According to V. Tangpricha, M.D., Ph.D. of Emory University of Medicine, more than 900 genes use vitamin D, and its deficiency can be associated with increased risk of cancer, diabetes, hypertension, heart disease and obesity. 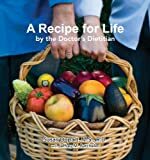 In November 2010, the Institute of Medicine (IOM) , which is the health arm of the National Academy of Sciences, gave out recommendations for vitamin D. These recommendations rocked the science world as they seemed low compared to what most health care professionals were advising. What some may have missed is that these levels were lower as they were recommendations for healthy populations. Previous guidelines recommending higher doses took into account those at-risk for health concerns like insulin resistance, diabetes and cancer. If you don't take any other supplement, Vitamin D is the one not to ignore. Levels of vitamin D are declining by 50 percent even in healthy populations due to low levels in our diet and avoidance of the sun. And, as obesity increases, so do stores of vitamin D since belly fat holds onto vitamin D and causes less of it to be available to the body. The correct dosage to take each day depends on your blood values. A basic amount to start with is 1,000 IU per day. Although the IOM recommends 600-800 IU per day, this level may not be adequate to reach optimal levels for many individuals. The Endocrine Society has new guidelines coming out June 6, 2011, and it is predicted that they will recommend between 1,000-2,000 IU per day. Omega-3 fats are hot in the literature. Since the dry weight of our brains is 60 percent fat, omega 3-fats are critical for brain function. They also have a powerful anti-inflammatory effect in the body versus omega-6 fats, which are thought to be pro-inflammatory, thus working against the benefits of omega-3's. A century ago, many of the omega-6 fats we know today -- like cottonseed and soybean oils -- did not exist. These seed oils require industrial processes for extraction, and are not a product of evolutionary diets. Today, they are common in processed or prepackaged foods. The ratio of omega-6 to omega-3 fats 100 years ago was approximately 2-to-1. Recent estimates show our food supply has changed the omega-6 to omega-3 ratio to 20-to-1, which demonstrates how unbalanced our food intake has become. In addition, how animals are fed depends on the types of fats we receive in our diets. When animals are fed grass, we receive higher levels of omega-3 fats. When they eat corn or grain we receive higher levels of omega-6 fats. Even organic meats and poultry are fed corn, making it difficult to consume enough omega 3-fats unless you eat wild fish several times a week. The three types of omega 3-fats are ALA, DHA, and EPA. Just one tablespoon per day of ground flax seed provides your needs for ALA. Optimal amounts of DHA and EPA vary according to your age, level of health and medical issues. Since Western diets barely contain 100 mg. of either DHA or EPA, taking a supplement containing at least 500 mg. each of DHA and EPA is recommended. 1. Unless you are a woman of child-bearing age or are pregnant, iron is not necessary and may increase your risk of cardiovascular disease. Men of any age and women over 40 should make sure their multivitamin is iron-free. 2. Since most multi-vitamins contain at least 400 mcg. of folic acid, take them only 3 times per week, unless you are pregnant or are planning to get pregnant. There is so much supplementation of folic acid in foods that many individuals are receiving excessive amount of folic acid on a regular basis. Although folic acid has been shown to lower levels of the amino acid homocysteine (where elevated levels are believed to cause narrowing and hardening of the arteries), research has not shown it to be helpful in preventing cardiovascular events. And, overdosing of folic acid can increase the risk of colorectal, breast and prostate cancers. If you are over 60, you may need a calcium supplement of 1,000-1,200 mg. per day, especially if your diet does not contain dietary sources of calcium. However, in August 2010 The British Medical Journal published a review of different studies looking at the outcome of women taking calcium supplements for risk of fractures and bone density. Surprisingly, they discovered women taking calcium supplements had an increased risk of heart disease, or more specifically heart attacks. In addition, they did not find any benefit from the supplements. Again, the recommendation for calcium is very individual. Many are concerned about not having enough B12. With aging, a B12 supplement may be necessary since less B12 is absorbed with age due to inadequate amounts of stomach acids required for absorption of B12. Where does all this information leave us? The important point to remember is that vitamins over certain levels are shown to act like drugs. Many individuals take vitamins not knowing what amounts they are receiving or why they are taking them, putting them at risk for other issues. The research is controversial, but solid evidence lies in taking at least Vitamin D and omega-3 supplements. Whether you need a multi-vitamin or other separate supplements depends on your age, health or medical situation, and your dosages should be tailored accordingly. It is worth your while to have your medical or health status evaluated to know exactly what to take for your individual needs. Taking the same vitamins for years, or taking supplements without appropriate knowledge, can be problematic, so be responsible with respect to your needs. Finally, when you think of supplements, think of the definition: things you take to supplement an already healthy diet full of nutrient dense foods, and not something you take as a substitute for an unhealthy diet.